Syrups are essential for making a variety of cocktails and just because simple syrup is so easy to make, it doesn't mean that we can't enjoy the syrups of commercial brands. Syrups are now being produced in almost any flavor you can imagine, with many of the companies producing high-quality sweeteners that rival the premium status of distilled spirits. 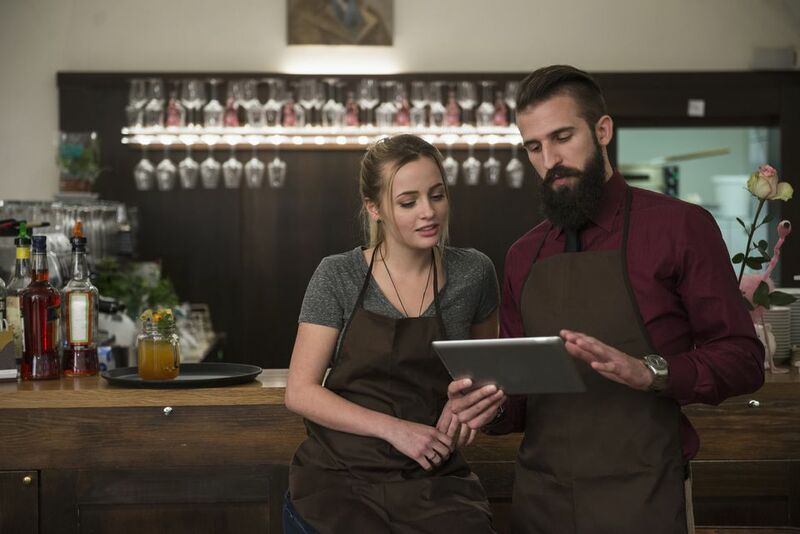 There is certainly a resurgence in the syrups available that can be used in anything from coffees and homemade sodas to adding a spark of interest to your favorite cocktails or imitating those in mocktails. The producers of these sweeteners have used their imagination to create the flavors -- now it is our job to put them to the test. Below are some of our favorite syrup brands available on the market today. The list begins with four of the larger brands that are easy to find and have an extensive collection of flavors. The last few listed are just as, if not more, important because these are the innovative individuals who are striving to bring back classic ingredients, give us guaranteed natural tastes or spark our creative side with something bold and new. 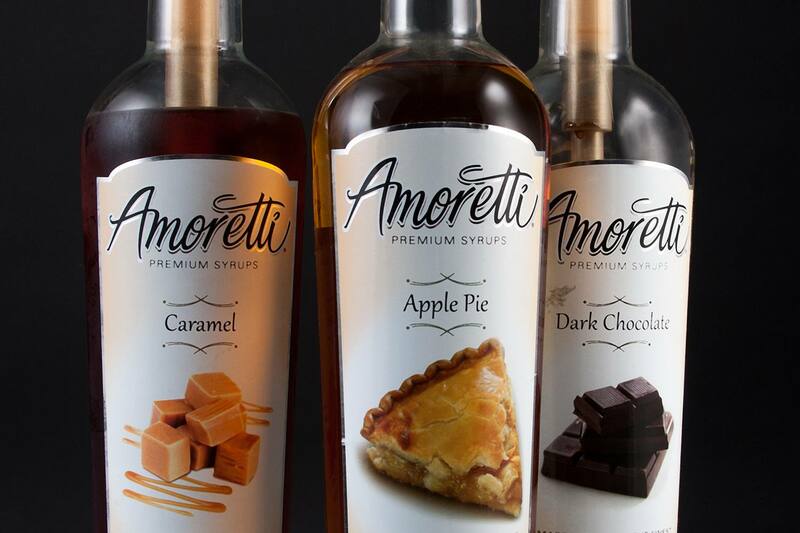 Amoretti has an amazing collection of premium syrups that are perfect for any drink. Their dark chocolate is wonderful in coffee drinks, the caramel syrups are great in apple cocktails and their fruit syrups are perfect for a variety of short and tall cocktails as well as making simple soda drink. They are made with natural flavors and are designed to react well with other liquids, including milk without curdling. The flavor line includes many of the favorites like amaretto, French vanilla, and pomegranate. Then there are the fun flavors like violet-lavender, elderberry blossom and zabaione (a delicious Italian custard) and seasonal favorites like pumpkin and the fantastic apple pie (try this Apple Pie Sparkler mocktail). Sugar-free sweeteners are also available. Amoretti's product line also includes non-alcoholic liqueurs which are syrups made to taste like certain spirits. This is a great way to transform a boozy drink into something more innocent and the flavors they have available range from tequila and brandy to wine blossom and blue curacao. Huckleberry, white chocolate and almond mocha are some of my favorites from DaVinci Gourmet Syrups, which also produces a myriad of standard and innovative flavors. Their gingerbread is a great substitute for gingerbread liqueur, while the praline syrup adds a mild nutty butter flavor to cocktails. DaVinci's product range also includes all-natural and sugar-free flavors and their Fruit Innovations line is perfect for cold drinks, with the honey melon being a favorite. Also in the product listing are the non-alcoholic bar syrups and cocktail mixers, which can be used as either a quick cheat for cocktails or a substitute for liquor if you're in the mood for a mocktail or two. Monin is a popular brand of syrups and a favorite for mixed drinks. Again, the line is immense, available all over, and always expanding. Some of their flavors as of are very fun, including banana nut bread, cinnamon bun and hickory smoke. All of the Monin syrups have a rich, true flavor and are perfect for cocktail experimentation. All of the usual fruit and candy flavors are available, with butterscotch and guava being two personal favorites. They also have a great selection of straight herbal syrups like lavender and lemongrass, but I am really impressed with Monin's spicy syrups. The chipotle-pineapple makes a great Mojito and have found the habanero-lime adds a nice dimension to a Habanero Martini. Torani is one of the best-known names in flavored syrups and you can find these almost anywhere. Their flavor list is also so long and always growing that it is hard to keep up with it. Of course, Torani has all of the standard syrup flavors, but ones like their bananas foster, watermelon and tiramisu really stand out. The product line is so vast that they have not just a couple vanilla syrups, but ten and the cinnamon vanilla is a great one. For those who enjoy dessert-influenced syrups, the cheesecake, red velvet and shortbread syrups are fun to play with. Sonoma Syrup Co. Photo: © Sonoma Syrup Co. This is where the list begins to celebrate the smaller companies that are handcrafting great syrups, and Sonoma is a perfect one to begin with. Produced in the wine country of Northern California, these syrups are infused with natural flavors and are ideal for creating high-end drinks. Sonoma's flavor list is surprisingly vast for their size and includes some fun flavors to experiment with. Lavender, vanilla bean, and white ginger are alongside interesting blends like mango-pineapple, vanilla-almond and acai-black currant. If you want a pumpkin latte at home, they have a syrup to help you along, and there is even the coveted orgeat available. Beyond the infused syrups, Sonoma produces a few soda syrups including cola, root beer, and vanilla that will make some of the best made from scratch sodas you will find. There is also the American Artisan Bar Mixers line that includes natural mixers like olive and lime juices, grenadine, sour mix and agave syrup. Created by California bartender Jennifer Colliau, these syrups fill the need for bartenders looking for the finest and often hard-to-find syrups. The syrups contain no corn syrup or artificial colors, they are pure and simple. Small Hands Foods' product line is compact, though it includes some necessities for classic cocktails, including orgeat and gum syrups and real grenadine made from pomegranate (not the cherry-dyed stuff you find in the average liquor store). The gum syrup does not stand alone, however, the brand also produces a pineapple and a raspberry gum and both are great. Small Hands also features a tonic syrup. Add soda water to some of this syrup and you have a fresh tonic water that will transform your idea of the Gin & Tonic.